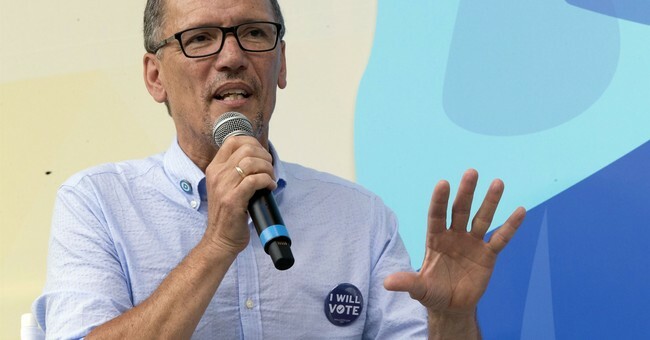 DNC Chair Tom Perez offended Christians on Thursday during a speech at Demand Justice’s “The Court In Crisis: What’s Next For Progressives After Kavanaugh” Summit at the Eaton Hotel in Washington, D.C.
Republicans have way too many suspect sources of information, according to Perez. Perez cited an individual in Wisconsin who told him that most of the people around him/her get their main sources of information from "Fox News, their NRA newsletter, and the pulpit on Sunday." "It should come as a surprise to no one that our message doesn't penetrate," Perez said. "That person on the pulpit is saying, 'ignore everything else that this person has done and is doing. We have to focus on one issue of Roe v. Wade.' And people buy it because that's their only source." It's not the first time a Democratic leader has mocked Americans for being guided by their faith. On the campaign trail in 2008, then-candidate Barack Obama sounded off on how some voters in the Midwest tend to "cling to their guns and religion." “And it’s not surprising then they got bitter, they cling to guns or religion or antipathy toward people who aren’t like them or anti-immigrant sentiment or anti-trade sentiment as a way to explain their frustrations,” Obama said at a San Francisco fundraiser. Offending Christian voters isn't the DNC's only demerit. Perez and the committee are having a tough financial year. They are lagging far behind the RNC in fundraising - the RNC raised $227.2 million in 2018 to the DNC's nearly $120 million. The first step is to identify the problem.